in order to cultivate children who grow into wise, virtuous adults who love and serve God and their neighbors (See Paul Schaeffer’s The Four Causes of Classical Education). Classical education is frequently distilled down to simply a method used to teach children. HLS Columbus appreciates the wisdom from which this idea derived, but we also believe that the content of the education we provide our children is equally if not more important than the method (See Martin Cothran’s Classical Education is More than a Method). Using Memoria Press’ high-quality, orderly, and comprehensive curriculum, our school is able to strike the balance between method and content. Our students are divided into Primary (Grades K-2), Grammar (Grades 3-5), Logic (Grades 6-8), and Rhetoric (Grades 9-12) levels, and age-appropriate, classically-based content is offered at each level. HLS Columbus is unique in that every family is closely involved with the program, either through teaching, administration, or simply helping set-up for our poetry teatimes! Because of the importance we place on family involvement, we do not offer drop-off classes and require a parent be present on-campus during class time. Why is this? We believe that community is an essential element of classical education. Class discussion is fundamental in the upper level courses, but even our primary students benefit when exchanging ideas with each other. Our parents appreciate the consistent interaction with other like-minded parents as they travel the classical homeschooling journey, which can often be lonely and isolating. Most importantly, the emphasis on community in our program gives our children the opportunity to see service to others in action. For the 2018-2019 school year, our families meet one morning a week and lead our Primary students in Memoria Press’ Enrichment Studies. Beginning in the 2019-2020 school year, we will be offering introductory Latin and Greek Myths for Grammar students in addition to the enrichment program for Primary students. If the demand exists, classes for Logic and Rhetoric levels will be offered. If you would like to know more about our program, please do not hesitate to let us know! 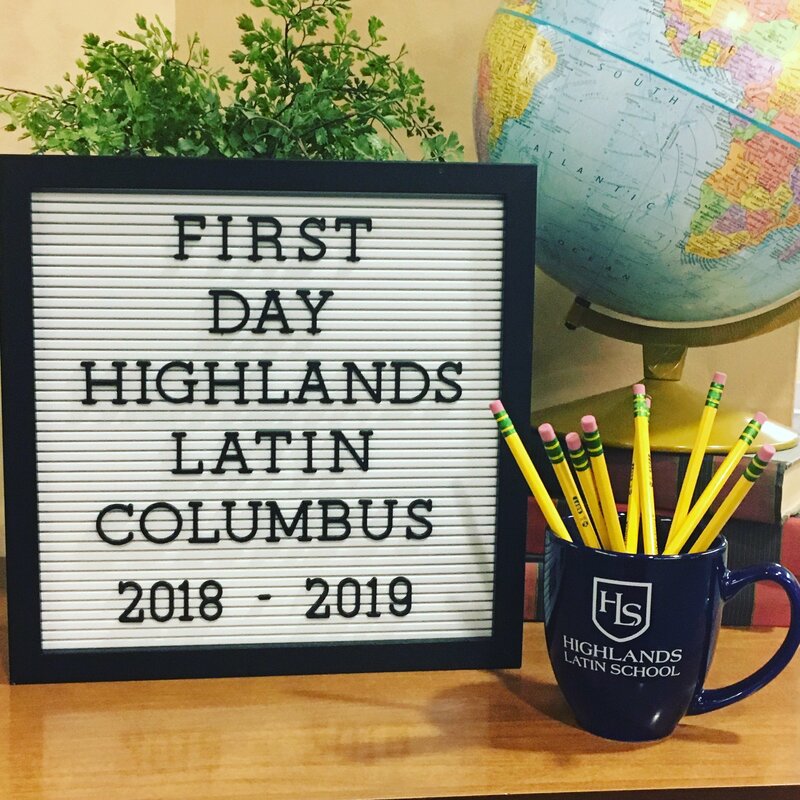 Click here to contact Highlands Latin Columbus today.